Linda Claude-Oben is the wife of former NFL player, Roman Oben. She is a public interest attorney who works with victims of sexual abuse and domestic violence. 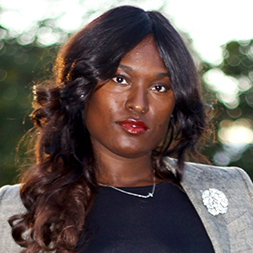 Claude-Oben is co-founder of Haitian-American Lawyers Association of New Jersey, and is currently a board member. She attended New York University for her undergraduate studies, and obtained her law degree from Benjamin Cardozo School of Law. Her husband played 12 years in the NFL with the New York Giants, Cleveland Browns, Tampa Bay Buccaneers, and San Diego Chargers, and won Super Bowl XXXVII with the Buccaneers. He is currently the senior director of Youth and High School football for the NFL. The Obens have two teenage sons, R.J. and André.